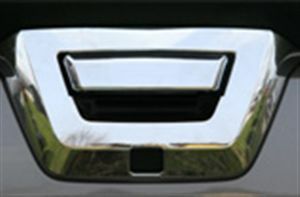 Showing 1 - 4 of 4 Products for Tailgate Handle Cover. 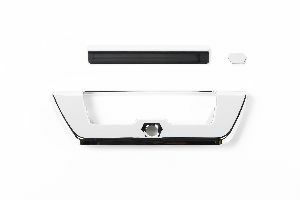 Enhances the look of your Tailgate Handle for a true custom look! Made of Automotive Grade ABS Chrome; long lasting material designed to withstand the rigors of the elements. Matches OEM Chrome perfectly. Installs via pre-applied Red 3M(TM) tape. All parts are no drilling, cutting, and easily installed in seconds. Add our chrome door handles, mirror, tail light, and head lamp covers to complete the look. No other product on the market like it. PRICED RIGHT! 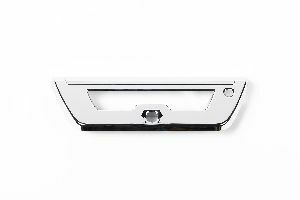 Enhances the look of your Tailgate Handle for a true custom look! Made of Automotive Grade ABS Chrome; long lasting material designed to withstand the rigors of the elements. Matches OEM Chrome perfectly. Installs via pre-applied Red 3M(TM) tape. All parts are no drilling, no cutting, and easily installed in seconds. Add chrome door handles, mirror, tail lights, and head lamp covers to complete the look. No other product on the market like it. PRICED RIGHT!